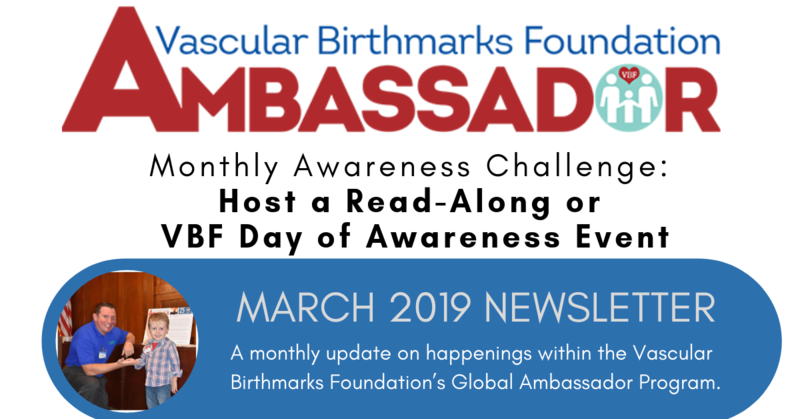 A monthly update from VBF Global Ambassador Scott Cupples on happenings within the Vascular Birthmarks Foundation’s Global Ambassador Program. As you know, the Vascular Birthmarks Foundation has created a program for members of the birthmark community to step up in a variety of ways. From spreading awareness in their communities and disseminating information on social media, to holding charity and fundraising events – VBF Global Ambassadors go above and beyond to help families affected by vascular birthmarks. Over the past month, we have increased the number of Ambassadors to 125, with 277 members in our Facebook group. We currently have Global Ambassadors in 19 countries and 40 states, and are actively recruiting Ambassadors all over the world to promote awareness for vascular birthmarks. Meghana, “the boss”, was born with a facial port wine stain birthmark and has been undergoing laser treatment with the support of her purple polka dot team. 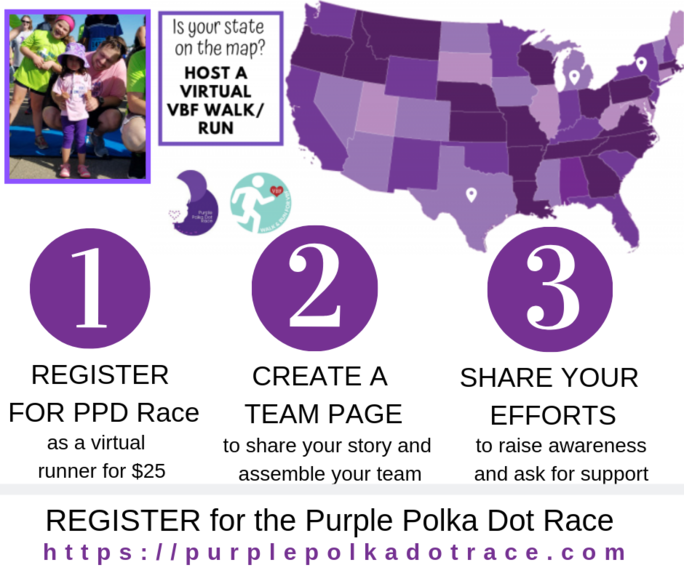 Her awesome mama, Jody Lee, founded the Purple Polka Dot Race in her honor, and it has quickly developed into the largest organized race for vascular birthmarks thanks to her team of supporters. #3: Share your efforts through social media to ask for contributions and to raise awareness for this great cause. On the day of the race, you can share your virtual walk / run photos from anywhere in the world to raise awareness for this awesome cause. Every donation goes towards the PPD Team’s $20,000 goal to help our VBF Families, and your participation helps raise awareness worldwide for our community! We thank you all for supporting Meghana and her Purple Polka Dot Team. May is VBF’s Month of Awareness! The VBF Global Ambassadors set the example for the birthmark community when it comes to spreading awareness, and I challenge you all to do just that in May. There are tons of ways to join the effort, from fundraising to social media posts. This is something to start thinking about in April, so you can potentially plan an event! Personally, I am planning a 5k charity run, and will make social media posts throughout the month. I look forward to seeing what you all do for awareness – and am available if you have any questions about what you can do! Visit www.birthmark.org/awareness/ for ideas, or to share how you will mark the month of awareness. The Vascular Birthmarks Foundation is constantly looking for ways to empower our Ambassadors, and grow the program to increase our outreach of support. The VBF Educate Online Course modules are now available to registered Global Ambassadors – all you need to do is check your email, as I have sent the access code! The Physician E-Learning Center provides a platform for doctors all over the world to earn CME medical credits, and this module is now available to Global Ambassadors for free! Visit https://vbfeducate.org/to sign up and learn more! The VBF Library has been made available to Global Ambassadors for free as well, and we really would like for you to register. The VBF Library includes the latest scholarly articles in the field of vascular birthmarks for over 70 birthmark-related keywords. Visit https://birthmark.org/physician-education/vbf-library/! In addition to the VBF Educate module and VBF Library, I am working to develop a training module for Global Ambassadors to complete upon registration. This training will not only give a baseline of information and resources about vascular birthmarks, but will also reiterate the Global Ambassador mission. Remember, none of us are medical professionals, but we are champions of helping others get the information they need! 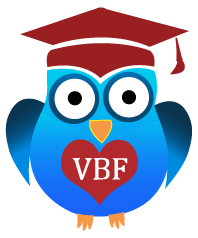 To our current Global Ambassadors – please monitor your email for links and codes to register for VBF Educate and the VBF Library. To everyone else – We look forward to helping you, and would love for you to register and help us spread awareness! Thank you all, for all that you do for our community. Learn more or register at www.birthmark.org/Ambassador. © 1994 - 2018, by the Vascular Birthmarks Foundation. All Rights Reserved.